If you’ve been toying with the idea of trying out an alternative mobile operating system such as Ubuntu Touch, you’ll soon be in for a treat. 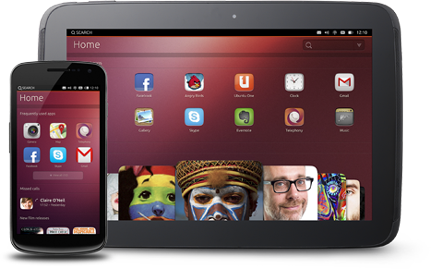 Canonical has recently updated its Ubuntu developer website to include a page which shows off the work being done to build images of Ubuntu Touch onto a variety of smartphones and tablets – about thirty different devices, in fact. Previously, Canonical only stated that the Developer Preview is only supported for the new Nexus devices – Galaxy Nexus, 4, 7, and 10. However, the new list includes old smartphones and tablets such as the Nexus One, HTC Desire, Dell Streak 7, the Kindle Fire range, the ASUS Transformer tablets, as well as new devices like the Sony Xperia T, HTC Droid DNA, and Samsung’s Galaxy SIII and Note II. However, they are still either in “W.I.P” (work in progress) status or “sort of working”, where the device’s functionality are even less than the working previews for the Galaxy Nexus, and the Nexus 4, 7 and 10. However, this additional ability to support more devices will significantly add to the growth of interested developers on the new Ubuntu Touch platform. If you are interested to try out Ubuntu Touch Developer Preview, find out if your device is supported at Ubuntu’s website here.